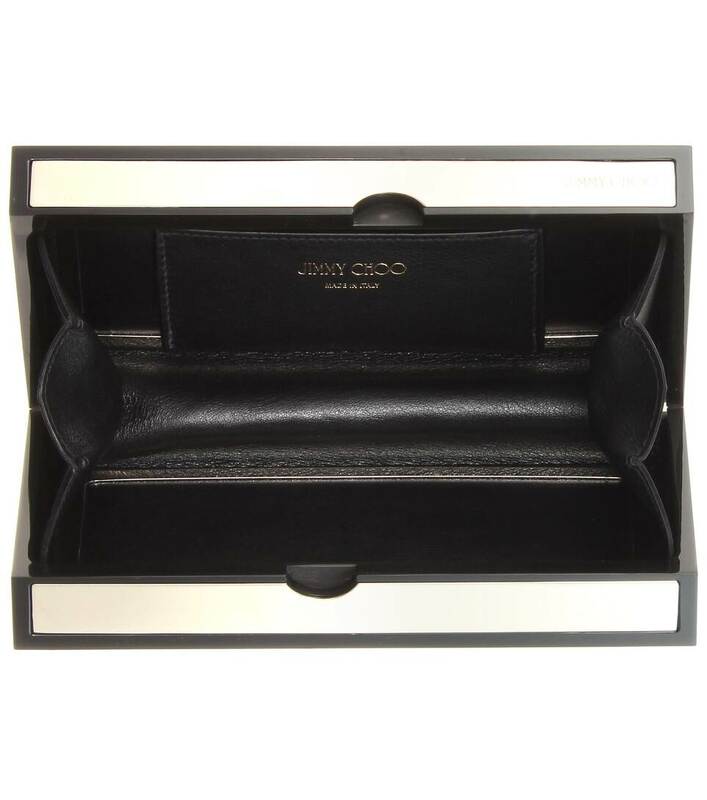 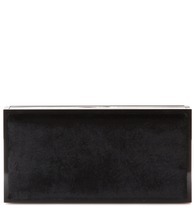 Jimmy Choo updates the 'Box' clutch with velvet side panels and industrial silver-tone borders. 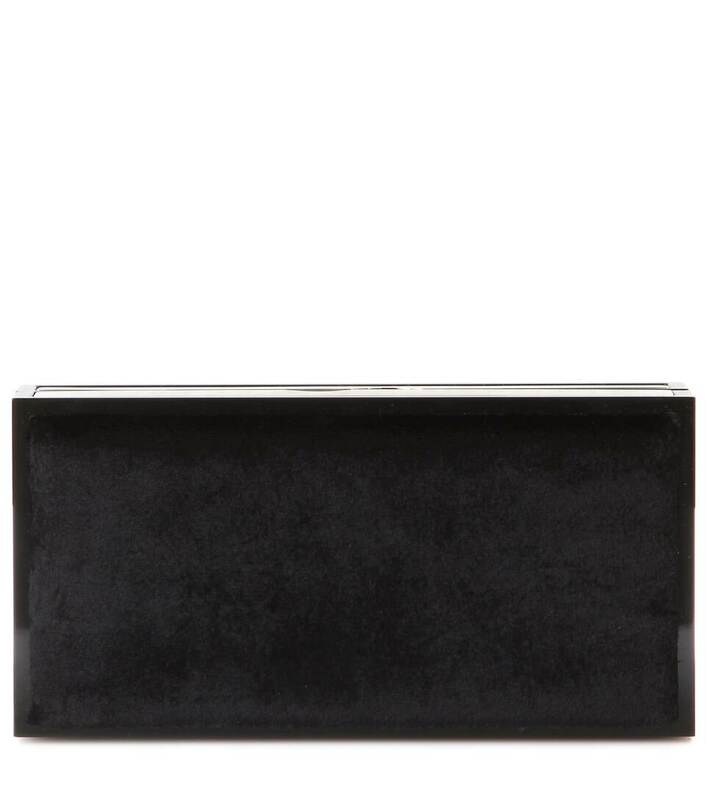 Leather-lined with a petite pouch, this is a contemporary, tough evening staple that will fuse seamlessly with your evening edit. 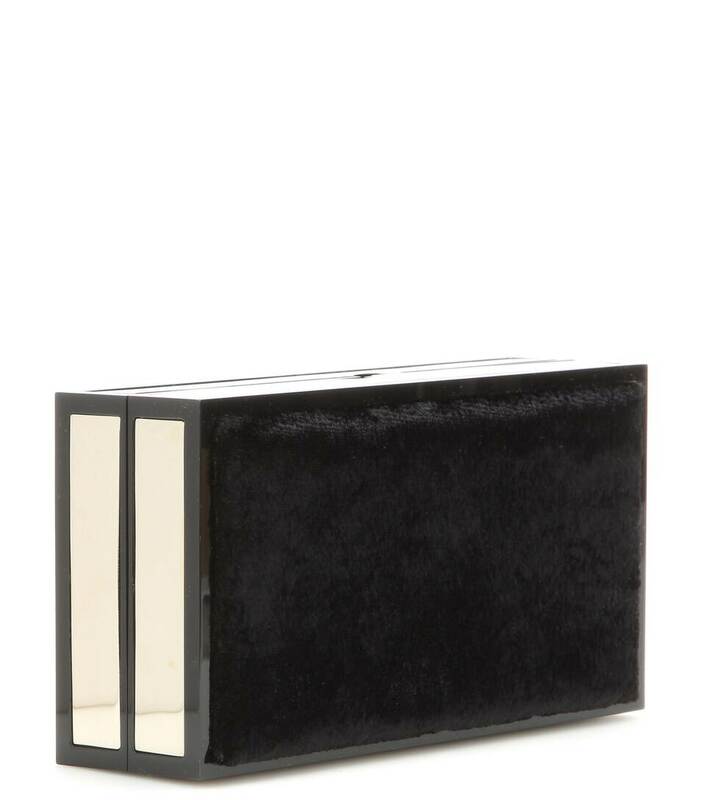 We love it with all black for a look that is immersed in mystery.